New classic flavor of recognized authority arrives now ! 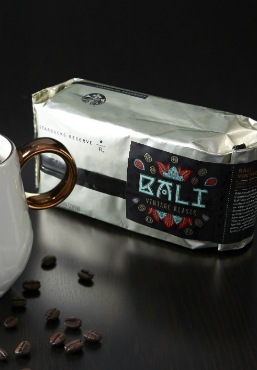 Bali Vintage Klasik beans come from the regions of Kintamani and Bangli located in the cool highlands where ideal conditions favor coffee production. The Klasik Beans Cooperative processed the coffee and focused on a few small villages to supply us with this lot. It is a fully washed coffee and dry hulled unlike places like Sumatra and Sulawesi where the coffee is wet hulled. The coffee highlights a delicate sweet lemon like acidity with caramel notes and a nutty finish.